The Ubiquiti POE-24-24W adapter is perfect for CPE customer stations and base stations. Combined with TOUGHCable solutions the adapter provides reliable protections from surges and electrostatic discharges. The device's input voltage is 47-63 Hz with Ethernet LAN transfer speed at 10, 100, 1000 Mbit/s levels. It is intended for 24 V devices. 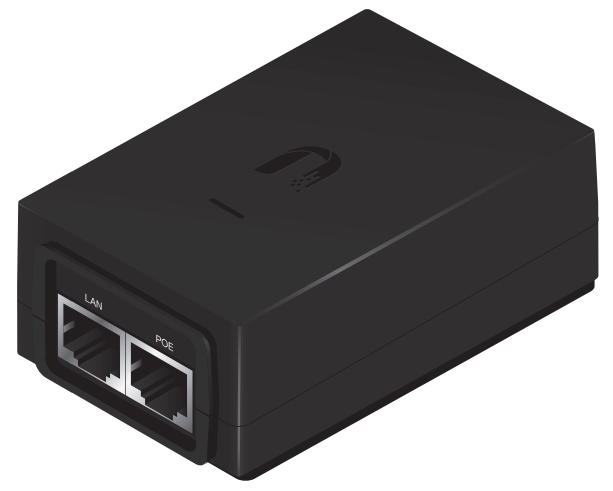 Its input voltage is 90-260 V.
The PoE Adapter is equipped with 2 Ethernet LAN (RJ-45) ports. It can be used at temperatures ranging from 0 to 40 degrees Celsius.